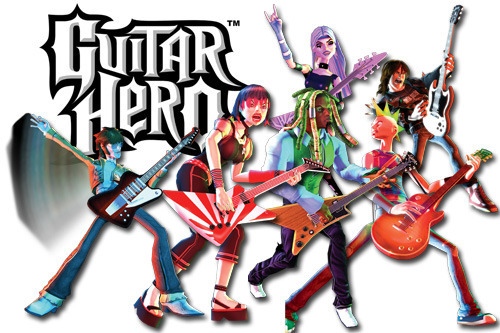 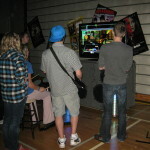 Grab a group and start your own band! 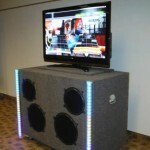 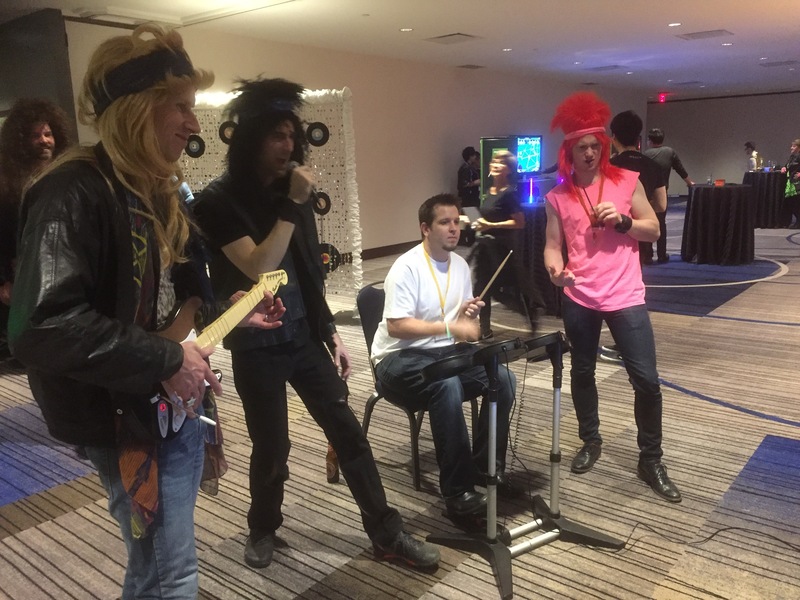 Rock Band lets you sing, strum and drum to a variety of songs. 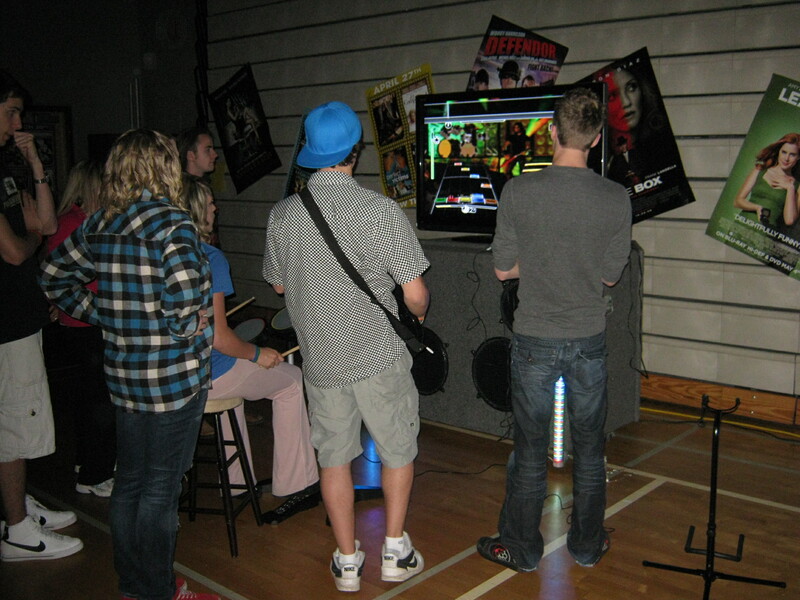 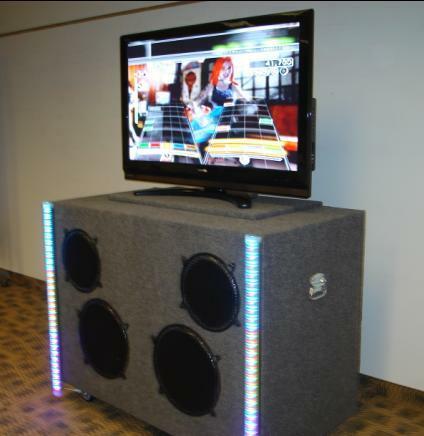 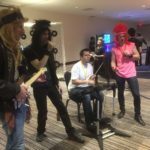 Rock Band is a one to four player game where your “band” sings the songs, plays the lead guitar, bass guitar, and drum parts to songs with instrument controllers. 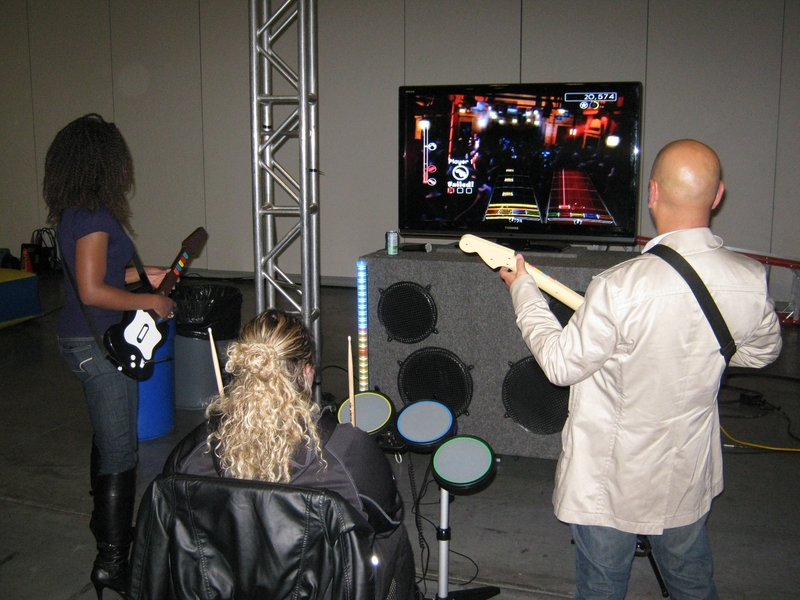 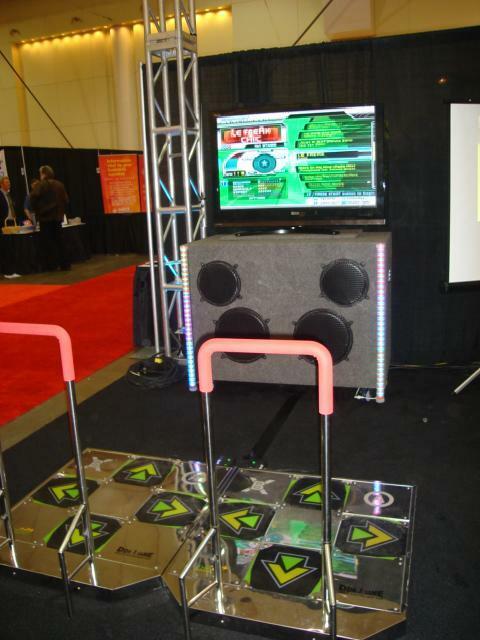 Players are scored on their ability to match scrolling musical notes while playing instruments, or by their ability to match the singer’s pitch on vocals.